Take a look at this stunning picture and recall the story from the book of Numbers. 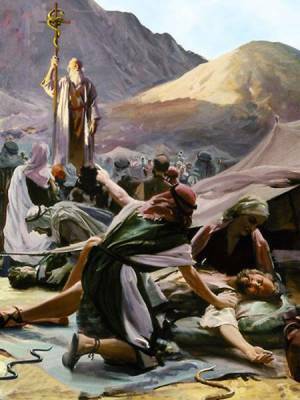 The Israelite people complained about being in the desert and doubted God’s plan for them. The Lord in turn sent them serpents. Appreciate for a moment the stern parenting of the Old Testament God, he really is trying to teach his unruly children to trust him. Anyways, the people then repent and go to Moses for help. Moses asks God for forgiveness for his people and God tells him “Then the LORD said to Moses, “Make a fiery serpent, and set it on a standard; and it shall come about, that everyone who is bitten, when he looks at it, he will live.” And Moses made a bronze serpent and set it on the standard; and it came about, that if a serpent bit any man, when he looked to the bronze serpent, he lived” (Numbers 21:8-9). Now I want you to put yourself in the shoes of the Isrealites. You have been given a life full of good things, and you come across some hardship. You doubt God, and you speak ill of his path for your life. Things get worse for you and you are ‘bitten by the snake of sin.’ Where do you go? Well if you have been reading along, you’ll know I’ve been writing about the Mass. The Mass is the answer. When you look at the staff with the serpent on it, you are healed. In our case, there is no fiery serpent at Mass. However, there are two symbols of this Old Testament story that will help you truly appreciate the healing power of Christ. First, when the Priest (or Deacon) goes to read the Gospel he does so in a very ceremonious way. He lifts up the book from the altar and raises it above his head. At this moment I always think about Moses holding the staff with the serpent. The book is the Gospel, and the Gospel is the Word of God, and the Word of God is Jesus Christ himself. “In the beginning was the Word, and the Word was with God, and the Word was God.” Christ is our healer, our savior, and or deliverer. We must not let such a beautiful sign pass before out eyes without taking notice of it. When the priest lifts up the book, he is lifting up Christ. Be present in this moment. This is in a symbolic way, not in the same way as the priest lifts high the Eucharistic Host. Which brings me to my second point. The symbolism of the story of Moses as seen through the Eucharist. The Eucharist has saving power. Just as the serpent was held high on a staff, Christ is held high on the cross to cure us of the snake bites that we suffer from. I will stop talking about the Eucharist now, before I get carried away. Look for my next post on the altar, it will contain more Eucharistic goodies. This entry was posted in The Mass and tagged Book of Numbers, Christianity, God, Israelite, Jesus Christ, Lord, Mass, Moses, Old Testament, serpent, Serpent (symbolism). Bookmark the permalink. Finally reading this one, very, very good. 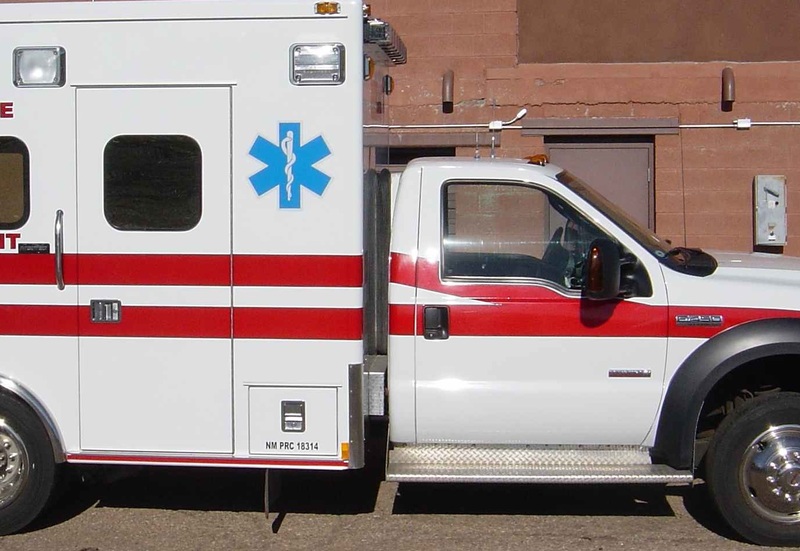 I never noticed the staff and serpent in on the ambulance symbol before. I loved the correlation of the men looking towards Moses staff for healing and our lives today looking towards the church for healing.